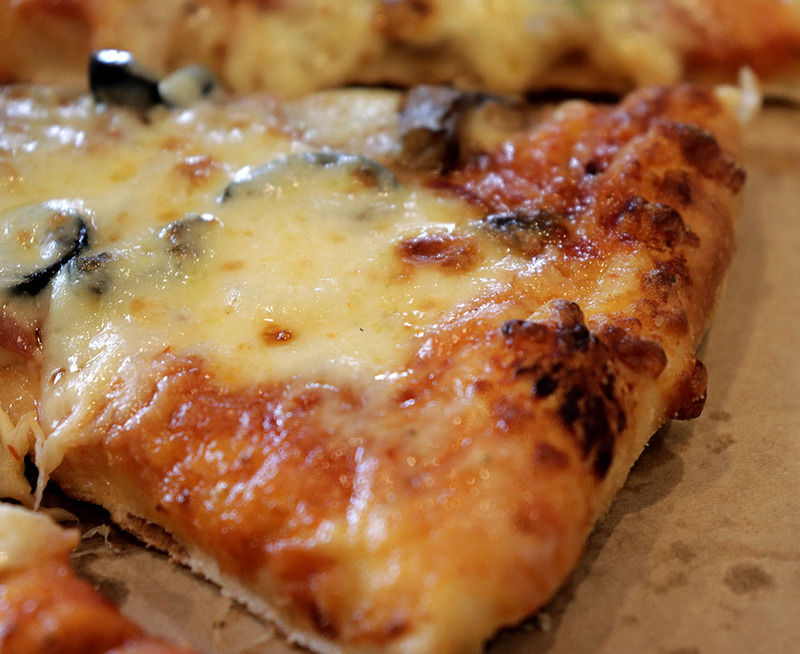 If You're A Big Fan Of Cheese, You Need To Check This Pizza Out! 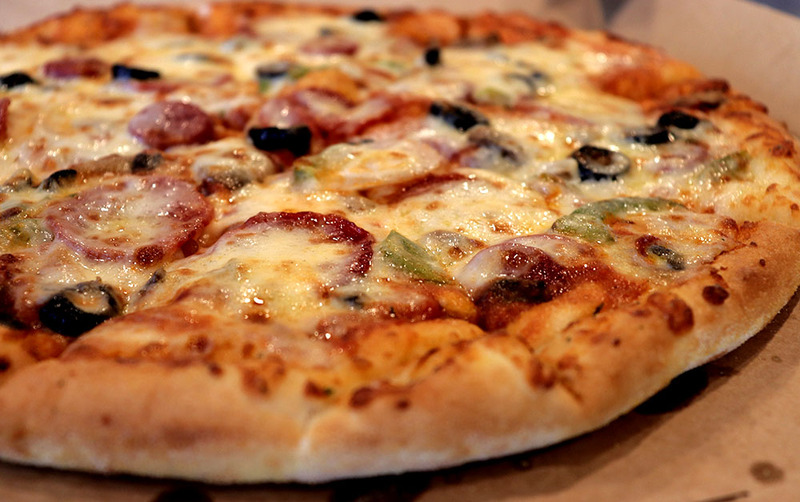 If there is one thing pizza fans always ask for, it is to have more cheese on their pizzas. 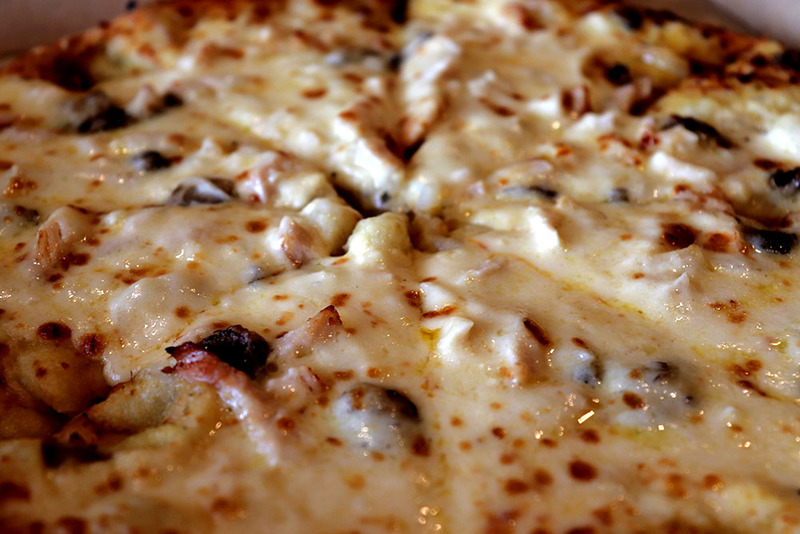 The rich golden colour, the artistic pull and the soft creamy texture of the cheese is what pizza dreams are made of. 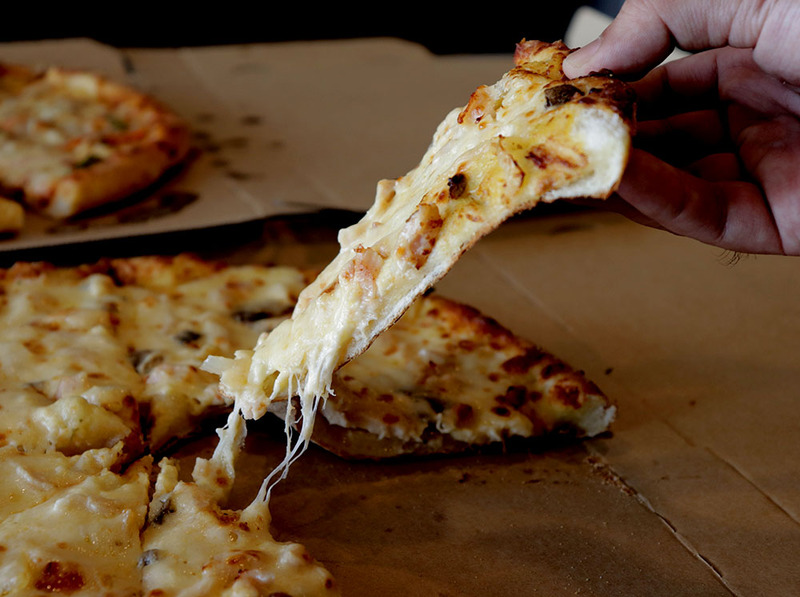 Before you fall too deep into your imagination and start drooling at your desk, we have the best news for you: Domino’s Malaysia has heard your cry because you now get extra cheese on all pizzas! No matter what your favourite pizza flavour is, just name it and you’ll have more cheese. When the Rojak Daily team heard the news, we opened the Domino’s Malaysia website and ordered three pizzas – one Extravanganza, one Classified Chicken and another Seafood Delight – in a heartbeat. They claim that their pizzas are now cheesier than before, and the quality of the cheese is top notch. So, is it true or could it just be a marketing ploy? 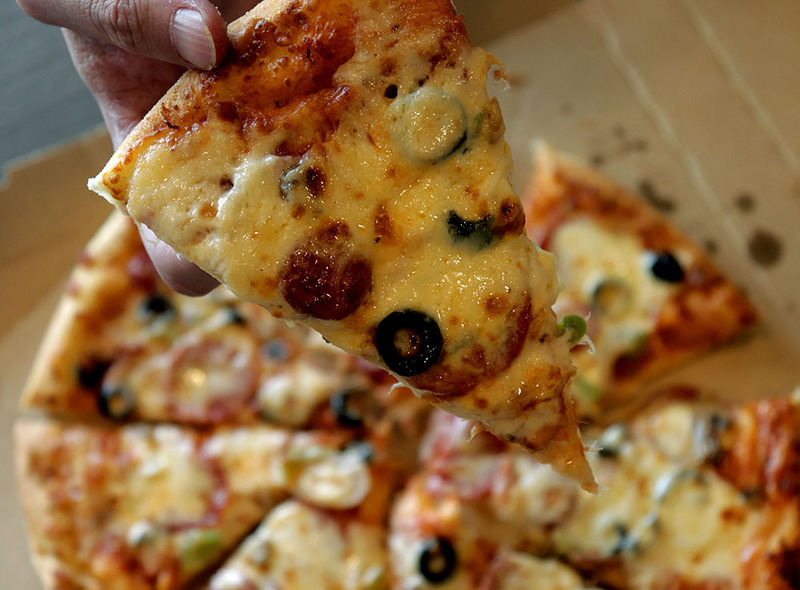 Not only is Domino’s Malaysia slapping extra cheese on the pizzas now, the cheese is also a new and improved mozzarella cheese formula that is inspired by some of the best pizzerias in New York and Italy. This special mozzarella cheese is specially crafted with a world-class cheesemaker just for Domino's Malaysia! So, needless to say, they know their cheese. This time, the cheese does look a lot richer in colour, almost golden and even orange for some of us. At first, when we were snapping pictures of the cheese, we thought that it was due to the colour saturation of our camera. As it turns out, the colour is real; it’s really golden/orange! If we keep this up, it’s back to ‘Is the dress black and blue or white and gold?’ debate all over again. Essentially, we feel the colour of the brand-new cheese makes the pizzas appear more appetising. 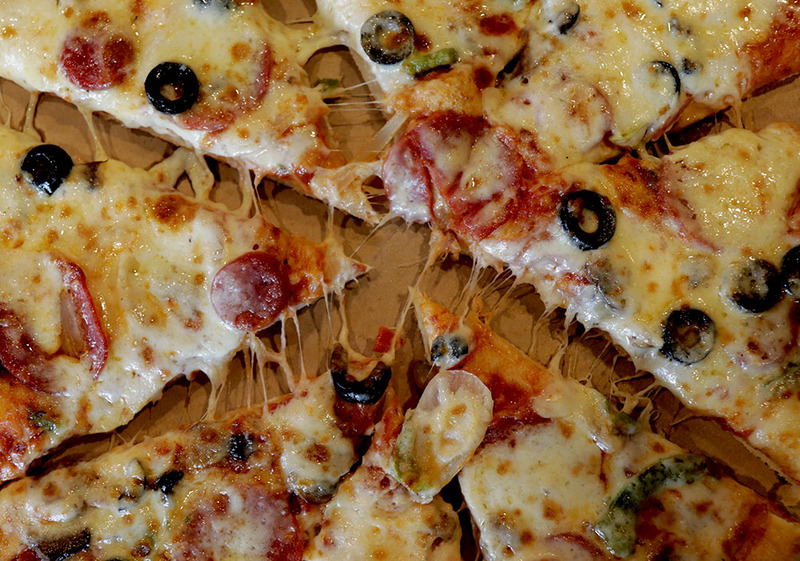 Why do pizza fans want more cheese? Because cheese is equivalent to luxury and indulgence. Since we can’t have wine and cheese boards during lunch hour at the office, pizzas with extra cheese will do! 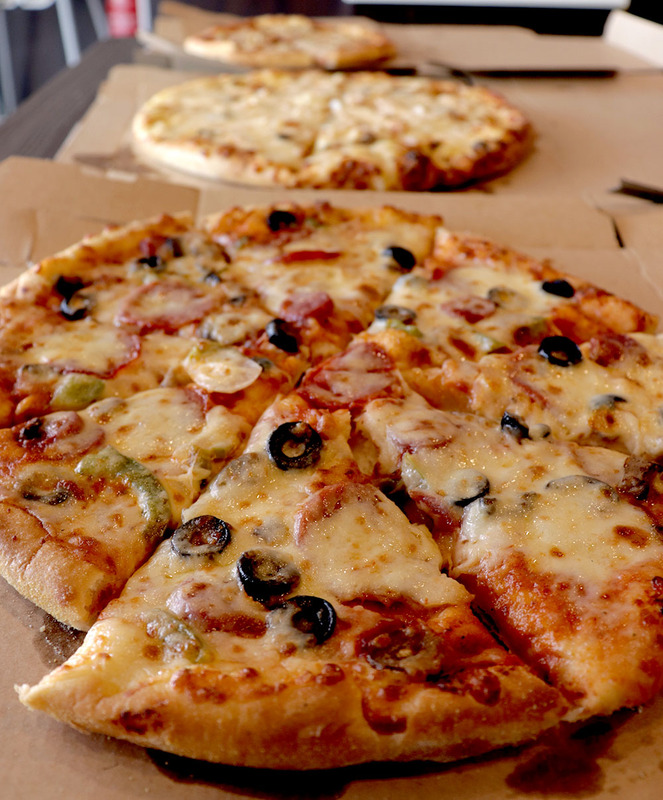 We took a bite and we can instantly tell that the new mozzarella cheese tastes much richer and creamier compared to the Domino’s pizzas we’re all familiar with before this. Also, the cheese feels thicker, making it slightly 'chewier'. We can't really describe it in words; you'll know what we're trying to say when you take a bite yourself. The cheese on the Classified Chicken and Extravaganza pizzas was spot on. 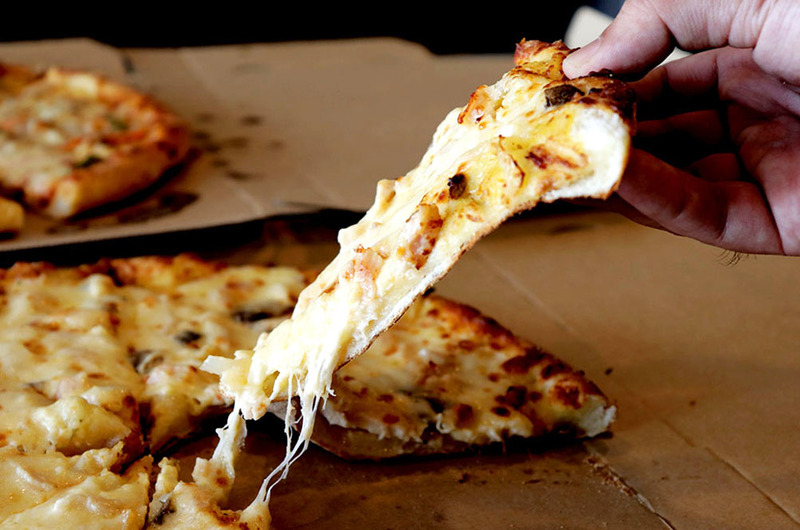 We know it’s a little bit hard to believe, but the cheese practically melts in your mouth! 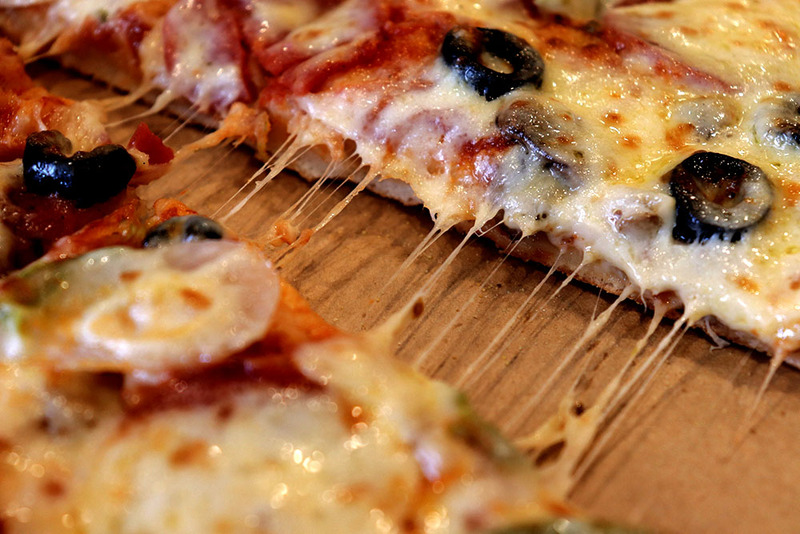 How often can you say that you’re eating a slice of pizza that melts in your mouth? After all, we don’t have age-old Italian pizzerias here in Malaysia, so Domino’s is a pretty close contender! Since we ordered a pizza delivery, the pizzas weren’t exactly fresh out of the oven when we finally got our first bite. But somehow, the texture of the cheese was still soft even after more than half an hour! You know how it is trying to gather everyone to have lunch, we take ages to leave our desks because we’re hardworking like that. Also, what impressed us the most was that the extra mozzarella cheese also offers more stretch to give you that perfect 'cheese pull' shot for your Instagram feed. Even when it took us a while to eat them, we could taste that all areas of the pizza were covered with cheese, including the crust. The cheese spread evenly on the pizza crust also made it a lot crunchier. Just check out the burnt cheese bubbles we had on our crust. Well, we don’t have to elaborate much further about this because Domino’s is throwing in the extra and better-quality cheese because you guys asked for it. If you ask us, the quality and taste Domino's new cheese itself is value enough! 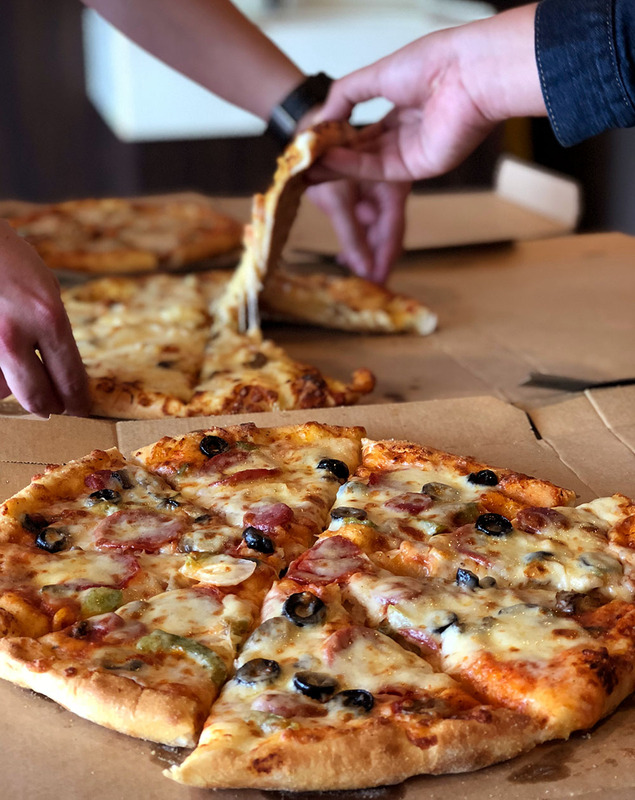 We think that this is absolutely worth the try, and here's the good news: this extra, higher quality cheese Domino's Malaysia is offering is here to stay permanently! All you got to do is to visit their store, website or call 1-300-888-333 and tell them you want extra cheese on your pizza, and you will get more cheese. It's as simple as that! We recommend that you pay Domino's a visit right now to check out the current promotion they have on the indulgent cheese. 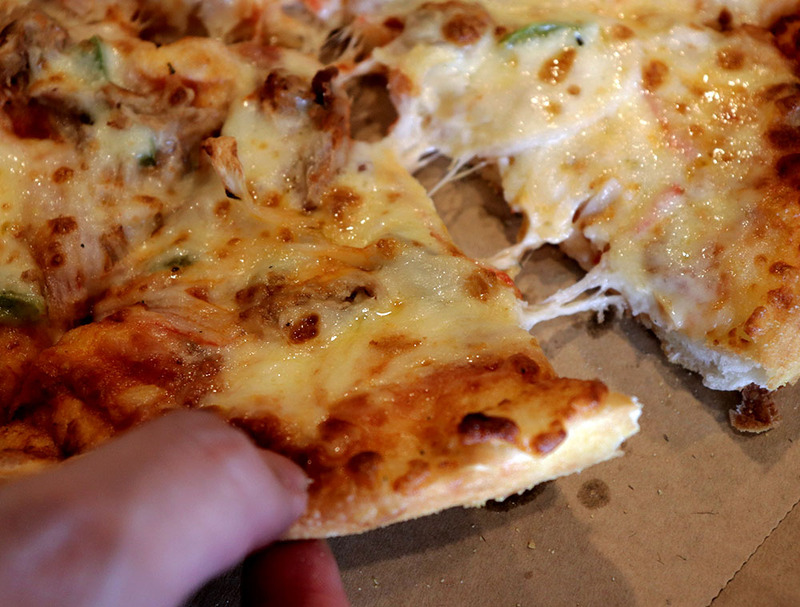 We have to say, out of the six Rojak Daily writers who tried the new cheese on the pizza, all six of us agreed that the quality on the cheese is noticeably different. It felt richer in flavour and it has a distinct texture to it. Sure, we would have liked more cheese on our Seafood Delight pizza, but hey, it still tasted really good. More importantly, neither of us has that lingering cheesy smell on our fingers or lips that used to drive us crazy after we devoured all three of the pizzas. Whatever you’re doing with the cheese, Domino's, keep at it.